Our knowledge of the Viking people comes from several sources. One valuable source is the literature from the period. Norse people loved stories, and some of the stories and poems they themselves wrote, and that their descendants wrote still survive. Stories about the Norsemen were also written by their contemporaries, including both their trading partners (such as the Arabs) and the victims of their raids (such as the Christian clerics who kept the historical records in Europe). This section describes written records the Viking-age people left behind. The Norsemen spoke Old Norse, which they called dönsk tunga (the Danish tongue). With minor variations, this language was spoken throughout the Norse lands during the Viking period. Old Norse is one of ten branches that make up the Indo-European family of languages which have been spoken throughout Europe and southern Asia for the last 3000 years. Old Norse is the root language from which the modern Scandinavian languages descended, and is a close relative of modern English, Dutch, and German. During the period from 550-750 AD, rapid linguistic changes occurred, which separated the Norse from other Germanic people on the European continent to the south and west. During the Viking age, language was no barrier to communication across the Norse lands; from Greenland to the Baltic, nearly the same language was spoken throughout. However, there is evidence that, despite the common language, a man's homeland could be identified by his speech. Some scholars today would go further and say that by the start of the Norse era, significant differences already existed between East Norse (Sweden and Denmark) and West Norse (Norway and the Atlantic settlements such as Iceland) dialects. If you would like to learn Old Icelandic, the language of the sagas and eddas, please consider joining us for our annual Hurstwic Old Norse Language Bootcamp, an intensive weekend-long introduction to the language. The futhork runic "alphabet" (so called for the sounds of the first six letters in the runic row) was in wide use throughout northern Europe from roughly the 3rd to the 12th century. At first, 24 letters were used, but in the 9th century, the futhork alphabet was simplified to 16 letters, beginning in Denmark, then rapidly spreading throughout the region. 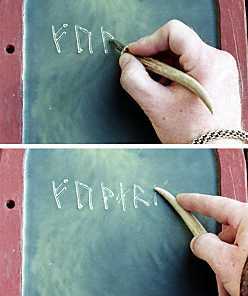 Many variations of the futhork rune row were used; one of the Danish variants is shown above. In the same way that a modern reader of English would recognize all these glyphs as representing an upper case "G", a Viking-age reader would recognize the many ways a rune might be represented. The runes consist of straight lines, typically in the form of a vertical (a stave) with diagonal branches (twigs). 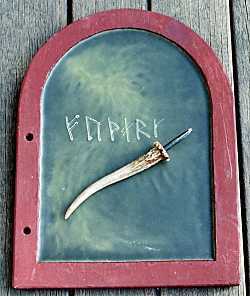 The lack of any curves makes the runes easy to carve into wood, bone, or stone, which were the normal writing materials among the Norse. Runes are found carved graffiti-like into historical buildings and statuary not just in northern Europe, but all across the continent, clearly showing the extent to which the Norsemen roamed over Europe. The marble lion shown in the sketch to the left is from outside Piraeus, near Athens, Greece, where some unknown Norse traveler carved runic graffiti into the shoulder of the beast. Judging from the number of inscriptions found on stones in Nordic lands that were clearly intended to be seen and read, and from the number of everyday objects inscribed with runes, it is possible that much of the Norse population could read runes. Many of the inscriptions are in the form of memorial stones, such as those illustrated below on this page. These stones are highly public memorials. There's scarcely any reason to erect them if most of the population could not read them. Many everyday objects are found inscribed with the owner's name, or the maker's name, or other messages. 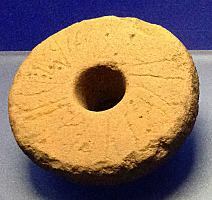 The spindle whorl shown to the left (used for spinning yarn) is inscribed with the owner's name, Viborg. Runic inscriptions have been found ranging from trade and legal documents such as bills of sale, all the way to coarse lavatory scribblings. Some runic inscriptions are clearly just for fun; a comb was found inscribed "I am a comb". 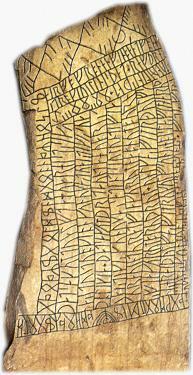 Some inscriptions may have been the equivalent of "Post-It" notes; one wooden runestick from Bergen is inscribed: "Gytha says come home". Additional evidence of widespread literacy comes from the old Icelandic literature. In an episode from Morkinskinna (ch 34), it was not considered the least bit remarkable that a poor, unnamed Icelander from the northern quarter was able to read the inscription on a buried treasure chest. In chapter 18 of Vígilundar saga, Ketilríð's father Hólmkell left a rune stick on the path where Víglundur and Trausti were sure to find it as they rode to the ship that would take them away from Iceland. On the stick were Ketilríð's words saying she wanted to marry no other man but Vígilundur. There was no question that Vígilundur would be able to read the message. 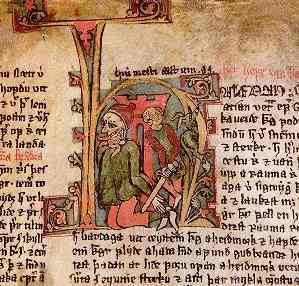 Þórður challenged Klaufi to a wrestling match via a message on a rune stick in chapter 12 of Svarfdæla saga. Interestingly, just two chapters later, Klaufi and Grís found runes carved on a ship naming the skipper, which Klaufi was unable to read. He demanded that Grís read them. Wooden writing tablets provide additional evidence of the widespread use of runic writing among ordinary people. The tablet shown in the photos is a modern reproduction. The historic tablets are about 20-30cm high (about 8-12 in) and were filled with blackened wax within their raised borders. A pointed iron stylus was used to write in the wax (top right). The reproduction stylus in the photos is set in an antler which allows a nice grip and which can be used to smooth the wax and erase unwanted writing (bottom right). The wooden surface of historical tablets from the Norse era bear marks where the stylus broke through the wax, and the marks show that the runic alphabet was being used. These tablets are more commonly found in rural areas, rather than in towns, suggesting that even remote farm dwellers could read and write runes. On the other hand, objects have been found inscribed with runes which appear to be utter nonsense, or filled with errors. Perhaps it made perfect sense to the craftsman who made the object. Or perhaps, realizing that the object he just made needed to decorated with runes, but not knowing the futhork, the artisan simply made up something rune-like. The medium of choice for runic inscriptions was probably a stick or scrap of wood, which explains why few runic inscriptions are found today. Extraordinary conditions are required for the preservation of these wood scraps over the centuries since the Norse era. The runic writing shown to the right is one of a number of wooden merchant's markers excavated in Bergen. It indicates the owner's name, and was meant to be stuck in or tied to a pile of merchandise. It can be difficult to transcribe and translate runic writings. One difficulty is that there are more sounds in the language than there are runes to represent them. Thus a single character could represent one of several sounds. Another difficulty is the variations in the various futhork alphabets that were in use during the period. Further, archaic or otherwise unknown words were used in runic inscriptions. Runes were frequently incorporated into the zoomorphic designs (left) favored by the Norse. Additionally, every effort was made to reduce the space required to inscribe the message and the number of runes that needed to be carved. So, for example, if a rune repeated, only the first rune was carved and the second discarded. Generally, there were no breaks between words or between sentences. Runes could be written left to right or right to left. The "facing" of the runes makes it clear which way to read. For inscriptions longer than one line, alternating lines were frequently written in opposite directions, first leftwards, then rightwards. Sometimes, the lines bent around at the end, so that one line reads left to right and the next line right to left and upside down. The effect is shown with English text using Roman letters to the right. Some rune stones (such as the Rök stone shown to the left) have text crammed onto every surface of the stone, with lines reading upwards, downwards, leftwards, and rightwards. Further, runes could be coded into other figures, called cryptic runes. The intent is not always clear. Perhaps it was meant to highlight a portion of the text, or to show off the skill of the person carving the runes. And perhaps it was meant to hide the meaning of the text to those who did not now how the runes were encoded. One example of cryptic runes are skiprúnar (ship runes), where the twigs adorn the stem and stern of the ship. The number of twigs in a figure indicated two numbers. The rune was coded by these two numbers. The first represented a particular ætt (grouping of runes within the futhork), and the second indicated which rune in the grouping was meant. Shown to the right are two figures from a series of cryptic runes in an Icelandic manuscript. Another example of cryptic runes is same-stave runes, in which all of the twigs branch from a single stave. The composite image to the left shows an example of this kind of runic inscription. The left image shows a small portion of the Sønder Kirkeby stone in Denmark that uses same-stave runes for a portion of its message. The stave of interest in this example is the second from the left. The stone was damaged in this region, and a portion of this stave is missing. This part of the stone is shown in the second image, with a speculative reconstruction of the missing portion. The individual runes are shown in the next column, and the transcription into the Roman alphabet in the final column. The complete message is Þorr vigi runar, or "Þorr hallow the runes". 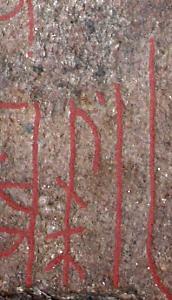 Another form of cryptic runes is visible at the top of the Rök stone, above left. With the coming of Christianity, and its educated clergy reading and writing Latin, runes were displaced by the Roman alphabet (modified to fit the needs of the various northern European languages), written with pen and ink on vellum. However, runes continued to be used for many centuries, since the materials for runic writing were always readily at hand: everyone carried a knife, and a stick could be picked up from anywhere. The Viking-age people did not develop a written culture until the arrival of the church. 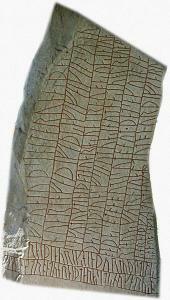 In the Viking age, runes were used for short notes only. The Viking culture was oral, and long works were remembered using poetry. Runes certainly could have been used for longer messages in the same way as Roman characters, but they were not. Perhaps the Norse people saw no need to preserve long works in written form, even though everything was in place to do so. Only a single rune stone containing a complete poem survives, although many stones contain individual verses. In chapter 78 of Egils saga, Þorgerður asked her father Egill to compose a memorial poem, telling him she would carve the verses into a rune stick (rísta á kefli). Whether that was common practice or not is conjectural. 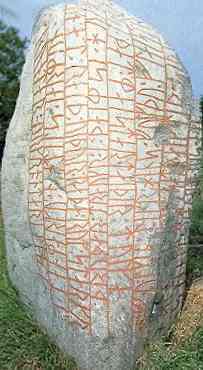 The Rök stone is an extraordinary rune stone over four meters high (13 feet) and is covered on all five sides with runic inscriptions. The front (and the beginning of the inscription) is shown to the left, and the reverse is shown in the photo above left. Many of the rune stones, particularly later ones, are memorial stones, which commerated the dead and may have served as declarations of inheritance. The purpose of the Rok stone is subject to debate, but may well be a memorial stone, as well. Surviving poems show a wide range of topics and tones: respectful and reverent; boastful and proud; witty and humorous; threatening and defiant; vile and obscene. However, scurrilous or satirical poems were banned because of the injury they caused to the subject and to his reputation. Poems, being a divine gift from Óðin (the highest of the gods), were thought to have special power. Poems had the power to bestow honor on a worthy man and to remove honor from a wretch. A skillful poet could earn a valuable reward from a generous king, or save his head from an angry king, by creating a well composed poem. Poems praising a woman were banned, both because of the publicity and the possible effect it might have on her reputation, but also because of possible spell binding effects the poem might have. (Surviving love poems suggest the ban was regularly ignored.) On hearing certain kinds of poetry (for instance, poetry implying that a man was womanish), a man was at liberty to kill the person reciting the poem. The proscribed types of poetry are described in the medieval Icelandic lawbook Grágás (K 238). Norse poetry does not have the regular rhythm and end-rhyme that one conventionally associates with poetry, but rather uses alliteration and irregular stress which falls on the most significant words in each line. Norse poetry can be divided into three classes, depending on form and content. Rune poems were usually inscribed on monuments and serve to praise an individual. They are brief and usually have a simple meter and style. Eddic poems describe the Norse gods and ancient Norse heroes and their exploits. Eddic poetry also has relatively simple meter and style. The stories are exciting, packed with action, and frequently contain valuable object lessons. Little can be said about the development of eddic poetry, but it was probably in place and in use at the start of the Viking age. Skaldic poems typically praise the deeds of notable people, and they were usually written during the lifetime of the person being praised. While some of the surviving skaldic poetry dates from the medieval period, many of the poems are believed to date from the Viking age. The Rök runestone shown above on this page records one stanza of skaldic poetry and dates from the middle of the 9th century. The Karlevi runestone shown to the right is the only skaldic verse in the elaborate dróttkvætt meter known to have been written down in the Viking age. It dates from roughly the year 1000 and is located in Öland in Sweden. While the eddic poetry is uniformly anonymous, much of the surviving skaldic poetry is credited to a particular poet at a particular place and time. The skaldic poems have complicated meters, strict patterns of alliteration, and ornate metaphoric language, with wordplay to delight the sophisticated listener. The poems usually celebrate the exploits of a particular king or leader. Since, in the Viking age, exaggeration was considered to be mockery, and since mockery was considered a lethal insult, these poems are thought to be reliable testimony to the events, even though (in some cases) they weren't committed to writing for centuries after their composition. Unfortunately, the factual information in such poetry tends to be limited. Skaldic poetry uses a variety of circumlocutions, such as kennings. A kenning uses a phrase as a metaphor to represent an idea. The usual form is a noun, qualified by another noun in the genitive case. For instance sweat of the sword is used to mean blood, or horse of the sea to mean ship. Some of the kennings can only be understood by someone with an extensive knowledge of the culture and of the great stories. 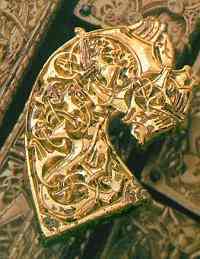 For example, flame of the Rhine is used to mean gold but would probably be understood only by someone who is familiar with the Völsunga saga in which the great gold treasure of the Völsungar ended up at the bottom of the river Rhine. Kennings can have multiple levels. For example, a poet might use a kenning for gold, and then use that phrase in place of the word "gold" in yet another kenning, such as flame of the sea-stead's path. Sea-stead's (ship) path is water, so flame of the water refers to gold. Some kennings depend on hyperbole. Enemy of gold refers to a man who does not like gold and gives it away: a generous man. Some kennings take the form of puns, such as using sky of the eel to represent ice in identifying someone as an Icelander. The form of Norse poetry is complicated beyond the wordplay of the kennings. The need to fit strict rules of alliteration and rhyming and rhythm result in verses in which multiple ideas are being formed simultaneously. (This concept is illustrated on the skaldic stanza page.) Because Icelandic is a highly inflected language (word forms change depending on their usage in a sentence), it's possible to jumble the word order yet retain the meaning of a sentence. Norse visual arts share this property (left). Exceedingly complicated forms are used all over a figure to create a single unified image. It's been suggested that this similarity between poetry and visual arts derives from the same underlying sensibility, some innate appreciation of the baroque form in Norse culture. Because of its complexity and wordplay, I wonder whether skaldic poetry could be understood by a listener hearing a verse for the first time. There are examples in the stories that support this belief, such as chapter 18 of Gísla saga. Þórdís overheard a verse spoken by her brother, Gísli, in which he took credit for the killing of her husband, Þorgrímr. Not until she returned home did Þórdís interpret the verse and understand its meaning. I may be overstating my case. At least one scholar of skaldic poetry has told me that he believes the verses were easily understood by a listener in the saga age. Additionally, in an oral culture, it would be important to recall poetry without error. Because of the complexities of Norse verse, a defect in a recalled verse would be immediately apparent, since the rhyme, rhythm, or alliteration would no longer work. Any erroneous substitution would stand out. Thus, the complexity of the verse acted as a mnemonic aid to help recall the verse and to identify errors. This built-in error detection was one of the reasons that information conveyed by poetry during the Viking age was thought to be more reliable than information in prose. The 12th century authors who first wrote the histories and stories of Iceland viewed the words of poets to be more authoritative than other oral sources. Some modern scholars disagree, and they suggest that in oral form, even poetry is unlikely to remain unchanged over long periods of time. Many of the important poems were composed in the 9th through 12th century. These were part of the oral tradition, and were kept alive by repetition as they were passed from one generation to another. Poetry was likely a major form of entertainment for the Norse. Poets were held in high regard, not only for their ability to improvise poetic entertainment on the spot, but also because they were the repository of the shared cultural experience. They were the vessel through which the culture was passed from generation to generation. Once committed to poetry, a thought was expected to last "as long as the land is inhabited" or "as long as the Norse language is spoken". Story-telling was a popular entertainment wherever people gathered. 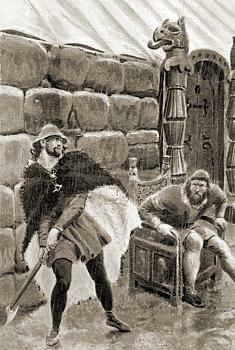 Fóstbræðra saga says in chapter 23 that Þorgrímr Einarsson told a story while sitting on his chair in front of his booth at the þing. People sat all around him, listening to his tale. When an unexpected downpour forced everyone to leave and seek shelter, Þormóðr took advantage of the opportunity and killed Þorgrímr. Beginning in the 12th century, educated men in Iceland, where the oral tradition was strongest, began to write down the important stories. Iceland was unique among European countries at this time in having a population comprised of a large number of relatively free, land-owning farmers. These men had the means to commission the creation of books in their own language, rather than in Latin as was the rule throughout the rest of Europe. The oral story-telling tradition of the Icelanders also favored writings in the vernacular. A wide variety of material was written down in the Icelandic language. One of the first books to be written in the northern lands was the Icelandic law codes, begun in the year 1117. Prior to this time, the law codes were remembered and recited orally by the law speaker (lögsögumaður) at the Alþing. A short time later, a history of Iceland was written known as Íslendingabók (the Book of Icelanders) by Ari fróði (the learned) around the year 1130. Scholars wrote books describing how to use Roman letters to represent the sounds of the Icelandic language. The First Grammatical Treatise was followed by three others. The genealogy and history of Icelandic settlers were written down in Landnámabók (the Book of Settlement)s.
European literature was translated into Icelandic, including stories of the lives of saints, and learned books on topics including astronomy, natural history, and geography. Travel books were written by Icelandic visitors to Europe. New stories were written to commemorate the exploits of kings or other great leaders. Some of these books were in the form of histories, such as Heimskringla, a history of the kings of Norway. Others described contemporary events, such as the sagas of the lives of Icelandic bishops, and Sturlunga saga, a compilation of sagas describing the events in the turbulent times when the sons of Sturla Þórðarson were changing the political landscape of the Iceland. Icelanders also wrote down the stories of their ancestors. These Íslendingasögur (Sagas of Icelanders, also called family sagas) remain compelling and entertaining reading today. They are a unique and new form of story-telling unlike anything that preceded them. Most of these sagas are thought to have been composed between 1200 and 1400. These stories tell of the tales of farmers and chieftains living in Iceland from the 9th through the 12th century. Many of them follow families for generation after generation, from the settlement era to the commonwealth period in Iceland's history. They are distinctive in that they tell heroic tales not about heroes, but about just plain folks: the early Icelanders. Although distorted by the time that separates the events depicted and the writing of the stories, the family sagas present one of the best pictures we have of Norse society. We know the names of only a very few of the writers of these works. It was not customary to put the author's name on the manuscript. However, one author who can be identified with some certainty is Snorri Sturluson (1179-1241). A 20th century sculpture of Snorri by Vigeland is shown to the left. Snorri feared that the tradition of composing poetry to commemorate great men and great events was dying. For this, and other reasons, he wrote the Snorra edda, a four part textbook on writing skaldic poetry. The book summarizes Norse mythology (necessary for the poet to understand the kennings), teaches the language of poetry, and presents examples of the various verse forms. The illustration to the right is from the section Gylfaginning (the tricking of Gylfi), showing Gylfi in a contest of wisdom with three Æsir. The book not only provides us with a unique overview of the Norse mythology, but Snorri quotes excerpts from poems and stories as examples of proper form and technique. In most cases, the full works are now lost, so the quotes from Snorra edda are the only way we have any knowledge of these stories. Over the centuries, the original manuscripts of the old stories were copied, transcribed, combined, interpolated, and edited. Material was deleted and new material written to bridge the gap. In some cases, the original stories may have been distorted, but in some cases, the stories may well have been improved. None of the surviving manuscripts represent the "original" version of the stories as set down by the first author. All the surviving manuscripts date from well after the time the stories were written down. Thus, each tells a different version of the story. Both early and late manuscripts survive for some stories, and occasionally, the differences are quite significant. In some cases, bored copyists may simply have made scribal errors. Many of the copies are thought to have been made at the monastery at Þingeyrar. 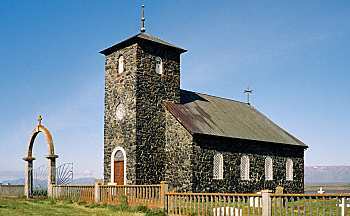 (The Þingeyrar church is shown as it appears today to the left). The monastery held one of medieval Iceland's largest libraries, and it's likely that some of the histories and sagas were composed there, as well. However, many of the surviving manuscripts are thought to have been created by Icelandic farmers in their homes. Like the poetry, the form of some of these sagas is complicated. Seemingly unrelated plot lines and characters are introduced and dropped and "stranded", only to be picked up later. But the sagas are a "verbal braid" of many strands whose meaning is not stated outright, but implied by the various juxtapositions and intersections. A Norse author of the time compared it to running water, which flows from many sources, yet all comes together to flow into a single place, the sea. The sagas are narrated in a sparse, objective style. The author rarely tells anything that could not be observed by a witness. Any internal thoughts or emotions a character might have are revealed to the reader through behavior or dialog observable by a witness. The author rarely explains or judges characters or events and rarely intrudes on the narrative. The stories survive today in the form of hand written manuscripts on vellum and (Iater) on paper, dating from the 13th through the 17th century. 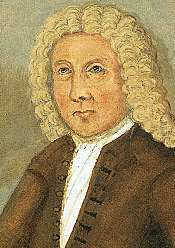 Scholars combed Iceland during the 17th and 18th century in search of surviving manuscripts. 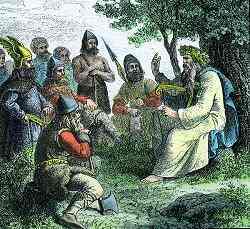 One of the best known of these scholars was the Icelander Árni Magnússon (right). When found, the manuscripts were brought to Denmark (which governed Iceland at that time) for preservation. Tragically, fire swept through Copenhagen in 1728. While the best manuscripts were saved, many lesser works were lost. Of the Sagas of Icelanders, about 80 works survive, ranging from short-story length (called þáttur) to long-novel length. Some of the manuscripts survive only in a single copy. For instance, most of the poems in The Poetic Edda exist only in the manuscript called the Codex Regius. (A portion of a leaf of the Codex Regius is shown to the right.) A video presentation of a lecture on the Poetic Edda, including a discussion of of the manuscript, is below. On the other hand, seven manuscripts or fragments of Snorri Sturluson's Edda survive. Today, most of the manuscripts have been repatriated to Iceland for safekeeping at Stofnun Árna Magnússonar (the Árni Magnússon Institute) in Reykjavík (left). The accuracy of the sagas (especially the Icelandic family sagas) has long been debated. They were not written down until centuries after the events they depict took place. We don't know the authors of any of the sagas. We don't know where or when they were written. Are they factual records or simply stories and legends to while away the hours on long winter nights? Are they a wistful look backwards from the turbulence of the Sturlunga era and the loss of Icelandic independence (in which they were written) back to the golden age of Iceland's settlement (in which they are set)? Are they literary creations, composed by an author, or merely the written transcription of an older oral narrative? In some ways, I feel unqualified to step into this scholarly debate and so prefer to use the term "historical novel". On one hand, one takes a risk when one uses a saga as a primary reference or as a source of "facts". On the other hand, the sagas clearly are a valuable resource for information about society and culture and behavioral norms during the Viking age in Iceland. Our Viking combat research at Hurstwic is an example where the sagas, when combined with other sources, seem to be a very credible source, as discussed in the Hurstwic arms and armor article on sources of information. A (somewhat dated) introduction to the Sagas of Icelanders and their use as a historical source is available here (700KB pdf file). Throughout these pages, I've tried to use the Icelandic spelling of names and places. As my knowledge of the language has increased, I've tried to be careful about usage and spelling, but I know I have not been consistent. Limitations in the characters available in HTML require me to use modern Icelandic substitutes in place of some of the old Norse characters. The Icelandic language has many sounds not present in modern English, and so it uses additional characters to represent those sounds. There are two additional consonants. "Thorn" (Þ þ) which represents the sound "th" as in Thor, and "edh" (Ð ð) which represents the sound "th" as in father. There are many additional vowel sounds, which are represented by accents (such as á), ligatures (such as æ) and umlauts (such as ö). There are no equivalent sounds in English, so pronounce them as you like. I have seen several conflicting guides to the pronunciation of old Icelandic. I now understand that some of my confusion relates to my not comprehending all the pronunciation changes and dialect variations that occurred over the centuries that Old Norse was spoken. Since I don't know, I'm not even going to try to provide a guide. Barnes' recent old Norse textbook provides a detailed guide to pronunciation, as well as a fascinating discussion of the differences between old Norse and modern Icelandic pronunciation. I refer interested readers to his text. The full citation is on the references page. So as not to leave readers totally in the dark about pronunciation, I conclude with an audio recording of a short excerpt from Völuspá performed by Sveinbjörn Beinsteinsson in old Icelandic. This excerpt is the first half-verse from the poem in which the speaker calls for the attention of the audience. meiri ok minni,     mögu Heimdalar. A video presentation on The Poetic Edda and Eddic Poetry by Dr. William R. Short, manager of Hurstwic, LLC. The lecture was part of the Hurstwic Heathen study group series of presentations and discussions.